A blog of life, lessons love and a little fun. November excitement - 5 tips to prepare you for the holidays. Happy Halloween weekend! Hope you all had a great time dressing up and scaring the crap out of each other.. Seriously best part of this holiday! Love it. Now that this is over with, I am SO excited to start preparing my home for the MOST WONDERFULTIME OF THE YEAR. Seriously, my favorite time ever. Every year my husband tells me, we can not set up until December first, and then November 1st, we find myself watching Home Alone on TV, and dying to whip out that tree. So I have convinced him that the day to begin this year will be November 12. (Although we plan to be putting up the lights out side in the next few days, before the snow falls...) Anyhow, some things that this house hold is excited for this time of the year.. I have decided that we are going full out traditional this year! Red, green and gold all over this place! 1- Wanting to go big for Christmas but don't know how you can spend all that at once. 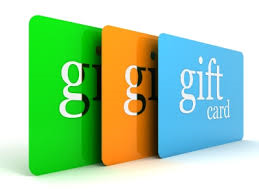 Start buying gift cards early at the stores that you find your self purchasing the most gifts.. This way when it comes to going to get all your goodies, you aren't going to be draining your accounts! 2- Some great ways to get that movie looking tree! A great way to add depth to your tree is to place 2 different size bulbs on the tree. It will give the illusion of more sparkle! As well adding lights far into the branches of the tree, will make the tree seem fuller. Its all about light placement people! 3- Love this glow of sweet Christmas lights but don't know where to place them but the tree. Place a strand above your upper cabinets and it will give that beautiful glow without the sight! 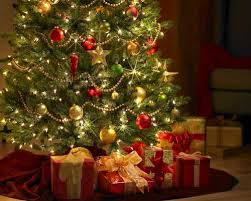 4- Nothing smells better in a home around the holidays then a live tree. Hate picking up all those pine needles? Try grabbing some floral foam, and find your nearest tree salesman (I love how they turn into little pop up stores!) they will probably have lots of extra branches that have broken off or cut, most people will give these away with little or no cost! Fill up your foam and you still get the aroma with no mess! 5- Don't forget to decorate your bathrooms! For some reason people forget this room, and it almost needs it the most! I love seeing little reindeer or a tree in the bathroom, makes Christmas just a little warmer in the home. Serious, nothing big or extravagant, but just a little something. Well hello hello! 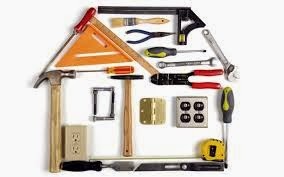 So as I have said previously, we will be starting the basement renovation really soon and are starting to get quotes for some of the more difficult work. We are pretty avid DIY'ers but we really want this to look great, so that we can sell this place down the road. We are planning to have the framing and the drywall done by contractors. Not really to sure if the quote is good or not (cause this is the first one!) But we are really hoping to find something cheaper.. Shizaa.. So we are going to be starting demo this weekend, pulling down the small pieces of drywall that are currently being use less.. And some odd metal looking framing, that just is terrible.. Hubbie sold his home gym as well to give us more space for the renovation, great hubbie. Let me know of any tips that you have for this big old renovation! Can't wait to hear from some people! Flashback to just the cutest pups! In 2013 we were giving the chance to rehabilitate and foster these 2 gorgeous boys, Freddie and Vern. They were found very young, at approximately 3 months old.. 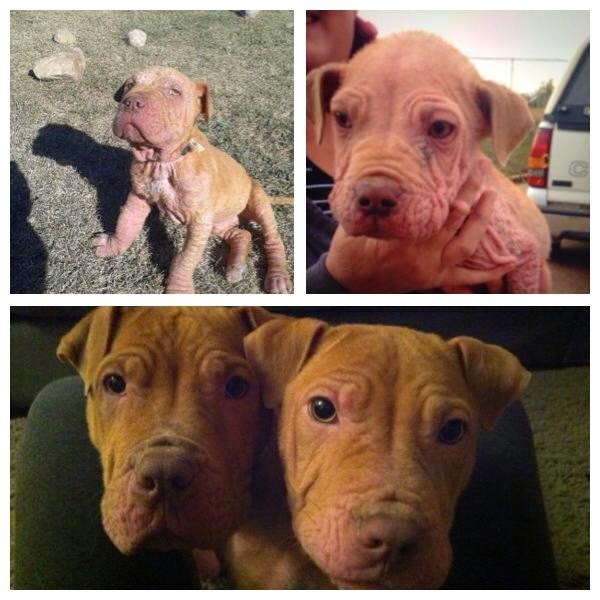 They were not doing well covered with a dog skin condition called Mange. As well as a belly full of parasitic worms. Freddie also fought off pneumonia. Lets just say it was a long 4 months for us.. but it was so worth it to see these 2 grow and now they have been adopted together into a loving family. Just wanted to share a few pictures of these beauties! These boys were my heart and soul for such a long time, and we miss them dearly. But then you get an update from the forever family and they are so in love, it makes fostering all worth it.. So just for fun here are some more pictures from their time with us! Just loving how adorable they are! Have you ever fostered? Or dealt with pups in general! Let me know! Hey! So last I wrote I was talking about leaving my job and a basement reno.. Well since then I have in fact quit my job, but we put on offer in on our dream house! It came back on the market and we got super excited.. And then we lost it, you know, because of our wonderful luck, (Yes, that is sarcasm at its finest.. We will see you again perfect house.. When you come back on the market!) So here I am again back to the basement reno, which I am actually really excited about! So I left my job and am about to embark on the crazy adventure that is trying to make it all alone! I'm terrified so excited! So wish me luck! Anyhow.. Got lots done in a house this weekend.. FINALLY started to finish the master bedroom this weekend, (its the only room in the house that isn't painted.. Minus that terribly high ceiling in the stairway, that I am much to much a chicken to get up there and paint.) I finally convinced hubbie that he doesn't need a dresser.. I truly hate them, so I built a bunch a cubbies put together for him to place his clothes. He seems to like it so far, win for me! Thinking I might move a chair in the corner of the living room, up into the bedroom now, very excited to get some décor in here. Will look amazing! We also started putting up the trim on the cupboards this weekend. Finished the kitchen about 4 months ago, but still have not had the effort to put up the crown moulding trim! So close I can feel it! Also had a couple come and look to adopt our current foster pup Jonah, love that guy! He is just the sweetest, but they were not. So safe to say, Jonah is going to be staying for just a little while.. I think our girl Zoey is happy about this though. They sure do love each other! Well hopefully all this goes well in the next upcoming weeks. I will do a blog soon about how the crown moulding goes! I think its just going to change the whole look of the kitchen. :) Thanks for reading! Hopes ya'll have a great day! So this is it.. I'm kind of taking a large leap into life in these next few weeks. I have been a nurse now for nearly 3 years and have decided to take my home business to the next level.. But before we get there, a little about myself. I am a 24. Love knitting, and nursing. I have a crazy sweet tooth, and an insane amount of bad luck that follows our lives around. I am married to the most amazing man. And our home is used as a foster for near by Pitbull pooches. Love my sweet pibble girl Zoey! And now back to current life.. I am kind of an open book and recently have decided to leave my sweet job nursing, and starting up my own business. Its a home cleaning and maid service business, and I really have high hopes that its going to be successful! Well, it better because bills are going to continue coming.. The biggest factor in me wanted to start up my business would have to be me wanting to be able to stay home full time with (future.. hopefully soon to be) children. So excited to be starting this new blog as well! Have been wanting to for a long while now and here it is, up and moving now! Cant wait to hear from new people and get lots of great tips on blogging and this new world. So tomorrow is the big day that I leave my job for my future.. I really am so excited to be moving on in this next phase in our lives, and hopefully this will be a new beginning..